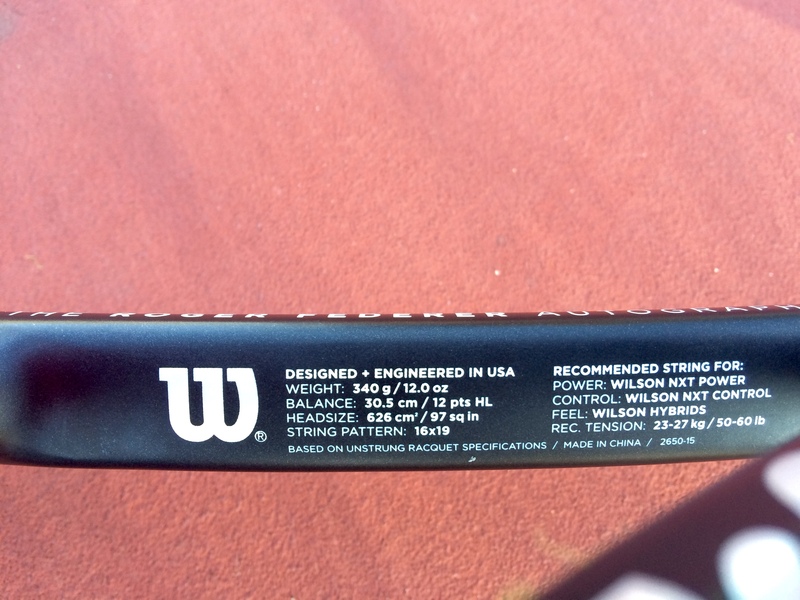 Roger Federer’s new Wilson Pro Staff RF97 Autograph is official, with a new paint job, and pre-orders began August 15 via select online retailers, such as Tennis Warehouse. 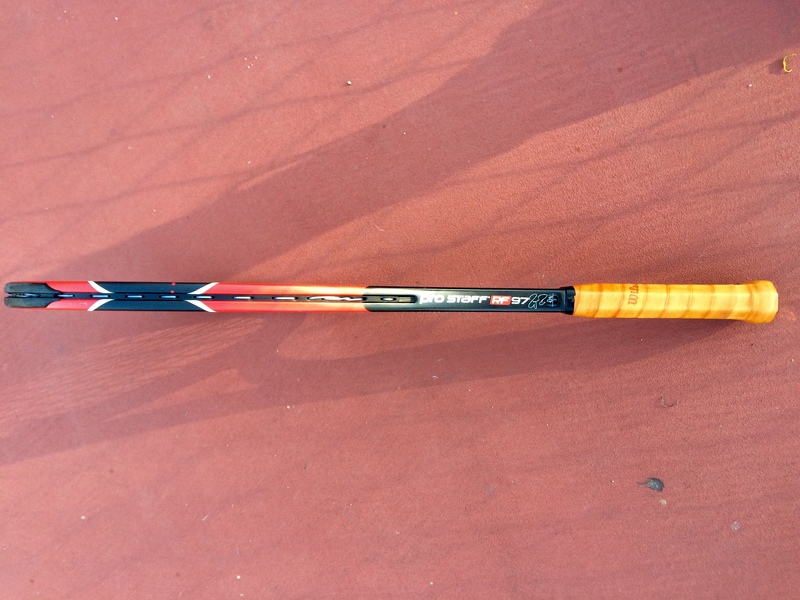 The new frame features a 97 square inch head size, with 10% larger sweet spot, and 26% wider beam for more power. 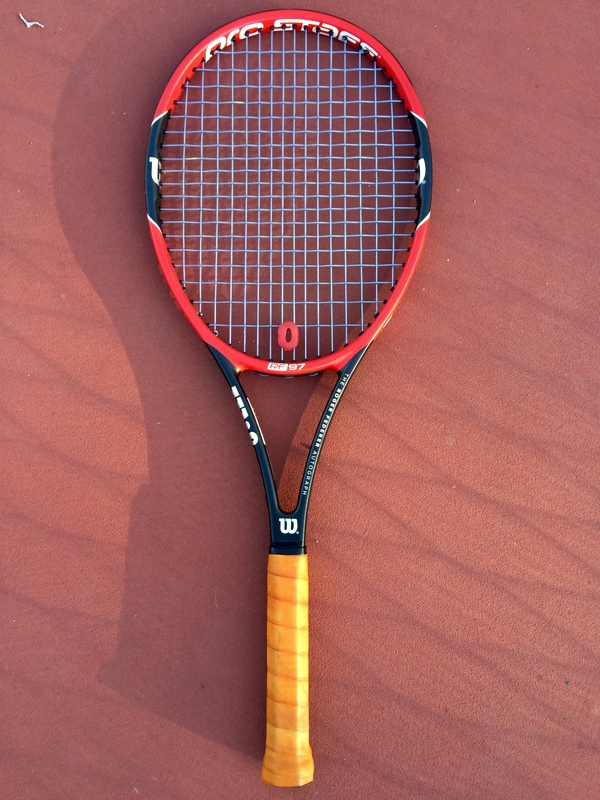 In red and black, the Swiss maestro’s new weapon of choice comes with nearly all of the same specifications as the previous 90″ models, retaining the classic feel most important to players looking to attack. 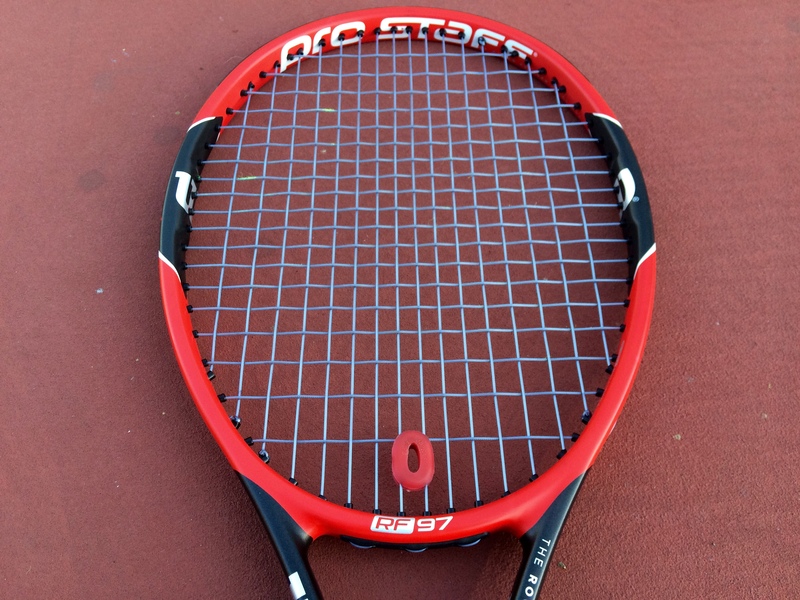 I had the privilege to get my hands on the new racquet yesterday, and spent about two hours hitting to get a solid first take of the new RF97. Having first played with a Pro Staff 85, then each of the following 90″ models along the years, this was an extremely refreshing change. The new frame has a lot of power. Wilson laid out the numbers but on court it’s serious. Everything feels easier to swing at, especially high balls on your one-handed backhand. The power came with ease on the serve, volleys were rock solid, and the Pro Staff feel is the same when hitting approaches and slices. In my first hit, I found most of the unexpected power coming on my forehand and serve. Simply being a 97″ allows you to get more air under your shots; much better net clearance. The US Open begins August 25. See the men’s singles draw here. Watch full coverage on FedFanTV. Download mobile apps for iPhone, iPad, or Android.